We’d love your help. Let us know what’s wrong with this preview of The Cottingley Secret by Hazel Gaynor. 1917… It was inexplicable, impossible, but it had to be t The author of The Girl Who Came Home turns the clock back one hundred years to a time when two young girls from Cottingley, Yorkshire, convinced the world that they had done the impossible and photographed fairies in their garden. Now, in her newest novel, international bestseller Hazel Gaynor reimagines their story. To ask other readers questions about The Cottingley Secret, please sign up. Has anyone else read Steve Szilagyi's 'Photographing Fairies' (or seen the movie version)? Isn't this the same story?? Is this a clean read?? Charmaine Yes, 100% - and for that I'd like to thank the author! This book is so very magical 💕 It was my feel good book and let me give justice to the amazing cover! I want to go there!! This story is about Frances and Elsie from the past and Olivia from present day. Olivia has come home to Ireland to get her grandparents (nana & pappy) things in order. Olivia's sweet grandfather has died and he left her his bookshop, Something Old. He sold old books as you can figure from the title. Olivia is trying to decide if she wants to go back to London and get mar This book is so very magical 💕 It was my feel good book and let me give justice to the amazing cover! I want to go there!! Olivia has come home to Ireland to get her grandparents (nana & pappy) things in order. Olivia's sweet grandfather has died and he left her his bookshop, Something Old. He sold old books as you can figure from the title. Olivia is trying to decide if she wants to go back to London and get married or stay in Ireland and run the bookshop. Olivia's grandmother is in a home because she has the horrible disease of Alzheimer's. =( Olivia has to go through all the things in her grandparents cottage and look into selling it, which she doesn't want to do. Meanwhile, Olivia is finding out some things about a little girl from the past that she was related to. Frances was the girl who saw fairies and had the picture to prove it. Little did Frances know, her and Elsie would be known worldwide because Sir Arthur Conan Doyle took an interest in the picture and believed them. The girls didn't want to be famous, they just wanted to show their family. Be careful of what you do! Like I said before, this is a magical book. There are so many wonderful things in the book that you need to find out for yourself. The book is about finding out who you really are and setting out for your own dreams. Whimsical, lyrical, a pure delight, and I fell into this magical story just like Alice falling into the rabbit hole. It is 1917 and Nine year old Frances and her mother leave South Africa for Cottingley, England to stay with family while her father fights in the war. There she find a cousin, Elsie, 16 who introduces Frances to the Beck. Despite their age difference the girls become fast friends, it is here there are said to be fairies. Here they will take pictures that seem to prove it, pictures Whimsical, lyrical, a pure delight, and I fell into this magical story just like Alice falling into the rabbit hole. It is 1917 and Nine year old Frances and her mother leave South Africa for Cottingley, England to stay with family while her father fights in the war. There she find a cousin, Elsie, 16 who introduces Frances to the Beck. Despite their age difference the girls become fast friends, it is here there are said to be fairies. Here they will take pictures that seem to prove it, pictures that will haunt the girls for many years, even bringing Arthur Conan Doyle into their sphere. This is of course all true, historical happenings and the two girls were very real people. The made up portion of the story, 2017, O!ivias beloved grandfather has died, leaving her a dusty old bookstore in Ireland. I wish someone would leave me a dusty old bookstore, anywhere. In the bookshop she finds the pages of the girls story, but how are they connected to her? "I think the books come alive at night when the shop is closed and the lights are turned out, I think they open their covers and fan out their pages like wings and start to fly. Imagine it. 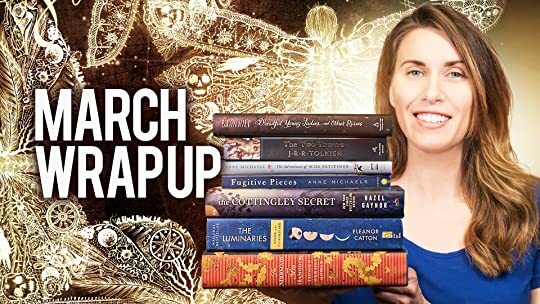 Hundreds of books, flapping their pages, soaring and swooping because they're so alive with stories they can't possibly sit still on the shelf." How can one not find that magical? Makes me smile. Plus, this is one of only a few with dual story lines where I enjoyed and liked them both. Took me back to a time of childhood, imagination and play, when time was meaningless. The authors note is so special, includes the facts and the photographs. Also, something that surprised but is a fantastic addition. Loved everything about this one. Equal parts enchanting tale of childhood magic and bearable story of a woman wrestling with engagement to the wrong man. Though Gaynor's prose sways from maladroit to radiant and the plot is wholly predictable, The Cottingley Secret proves a pleasant read. The photographs allegedly captured images of fairies at the Cottingley Beck, a stream where the two girls often played. The photos garnered the attention of Sherlock Holmes author, Sir Arthur Conan The Cottingley Secret by Hazel Gaynor is a 2017 William Morrow Paperbacks publication. Although this novel is mostly conjecture, I think the author captured the atmosphere perfectly and built an interesting story around true events. I have since done a few Google searches on the Cottingley fairies. It’s an amazing story that captured the public’s imagination for decades. I think the time and place had a lot to do with why those pictures became such a phenomenon, but that the the myth persisted as long as it did is what makes the story so captivating. I read The Girl Who Came Home by Hazel Gaynor and deeply enjoyed it. Gaynor's writing was beautiful and uplifting, even in the midst of the Titanic tragedy. The Cottingley Secret, her fourth novel, is one I want to hug, and it's going to my favorites shelf. Told in dual storylines; one story is of Olivia in present-day Ireland who's inherited the most charming bookshop, and the other is of Frances, a young girl arriving in Yorkshire during the first World War. The book was inspired by the real F I read The Girl Who Came Home by Hazel Gaynor and deeply enjoyed it. Gaynor's writing was beautiful and uplifting, even in the midst of the Titanic tragedy. The Cottingley Secret, her fourth novel, is one I want to hug, and it's going to my favorites shelf. Told in dual storylines; one story is of Olivia in present-day Ireland who's inherited the most charming bookshop, and the other is of Frances, a young girl arriving in Yorkshire during the first World War. The book was inspired by the real Frances who was in a famous group of pictures with fairies and written about by Sir Arthur Conan Doyle. These pictures created quite the frenzy during war time England and around the world, at a time when believing in magic may have had an important purpose. Filled with love, fairy magic (I think fans who love the whimsy and ambience of Sarah Addison Allen and maybe even Alice Hoffman may enjoy this book), family secrets, beautiful descriptions of Yorkshire and Ireland, books, and the power of believing, I adored The Cottingley Secret. The p.s section including Author's Note, images of the famous photos, and an interview with Frances' daughter is not to be missed. "It breaks my heart to know that she will grow up and have to try to understand the world with all its complications and uncertainties. I hope she won't try to understand everything, and that some of the magic she knows now will stay with her." "The friend and ally who took a photograph of me in a quiet sunlit moment in one of the most perfect places I have ever known, and captured forever a young girl with wonder in her eyes and the belief in magical things in her heart." " ...as Nana always had said when she was winding a skein of wool, finding the end was the hard part. After that, all it took was patience, determination, and plenty of fresh tea in the pot." "...but because with the world still at war, we needed to believe in something better. In that moment, and perhaps for much longer, it seemed to me that the possibility of believing in fairies was more important than one little girl telling the truth." "Where once she had dreaded what lay ahead, Olivia now relished the prospect of filling the empty page. Hers was a narrative she would write in her own words in her own time. She would be the mapmaker, the storyteller, the dreamer of dreams." "She had always been there, watching, waiting. To find her, all she'd had to do was believe in her." I was ecstatic to win a copy of this book from Hazel Gaynor, the author, on Facebook. The above is my unsolicited and honest review. The lightest ringing at my ears. The slightest movement of fern and leaf. My heart flutters. My eyes widen with excitement. A flash of vibrant emerald. Another of softest lavender-blue. I lean forward. Draw in my breath. Don’t make a sound. These stories of Olivia, in the present in Ireland, and Frances and Elsie, from the past beginning in 1917 in Cottingley, England, weave together slowly; in the way life usually unfolds. Day by day, bit by bit. Patience is required, but for those who truly believe, and seek it, the truth will gradually be revealed. Olivia’s grandmother has been in a home since her Alzheimer’s progressed past the point where she could live at home with Olivia’s grandfather. When he was alive, her grandfather had been busy trying to hold his bookshop, “Something Old,” together, and he’s now passed and left his bookshop to Olivia. She’s also making sure to spend time with her grandmother, and to slowly get her grandparent’s home ready, all the boxes of things to go through and decide what to keep and what to give away. In the process she finds some things that lead her to a journey into her grandmother’s younger years, the stories of Frances and Elsie and the years of the photographs of the two of them and the fairies. Intertwined with this, there is also the story of Frances and Elsie, from the first summer Frances and her mother came to live with her Aunt Polly and her cousin Elsie. The year her father went off to the war. That year, Frances saw the fairies for the first time, and wasn’t believed, so Elsie convinces her that they can prove it with photographs. Arthur Conan Doyle, best known for his Sherlock Holmes books makes an appearance, taking an interest in these fairy photographs when word spreads far enough to reach him, and he eventually publishes “The Coming of the Fairies” , including photographs taken by young Frances and Elsie. While much of this story revolves around the coming-of-age aspect of this story for young Frances and Elsie, and fairies, there is sufficient time spent in the present to ground this story so that it is not overly precious. A child, Iris, the daughter of a local writer, enters the picture, and through her small, simple gestures, Olivia’s heart begins to mend. And through the magical draw of the bookshop, Olivia is able to help Iris open back up to a life without her mother. Because of Iris, Olivia opens up to a new life, and because of Olivia, Iris begins to open up to others. At its heart, this is a feel good book, a fairy tale, of sorts, but there is more. This is a story of Alzheimer’s, of life, and of death, of love lost and love found, the heartbreak of a parent whose child is missing; a story of discovery, of fairies and those who believe, and those who don’t; a story of believing in yourself. What a fun, whimsical, magical story. Initially, the name drew me in, then the cover, and when I saw in the blurb it said 'fairies' I was hopelessly hooked. I bugged my library to get a copy and they got both print and audio....I naturally selected the audio and loved every minute of it. I didn't want this one end. One line in the book that I kept coming back to....Those who don't believe in magic will never find it. And that is key to this wonderful book. And I for one, believe and love to read about magic. The Cottingley Secret is a story that rotates between two timelines, the early 1900's and present day. In present day, Olivia is lost, getting ready to marry a man she really doesn't love. Her grandfather has just died and gave to her his bookstore, Something Old. The other story, in the early 1900's in Cottingley, Yorkshire, you learn of two young girls, who photographed fairies and ultimately captivated the world. In present day, Olivia finds a book in the bookstore telling the story of these two young girls and is enthralled and entwined in this story. I thoroughly enjoyed both of these stories and each had warmed my heart. This historical fiction is another one of those stories where a small piece of history is plucked and a story is weaved around it. The story of the girls, two cousins, who photographed the fairies in their garden is real. The story became so widespread and popular that Sir Arthur Conan Doyle was fascinated by it and used the photos and the story in an article that he was writing about fairies. Everyone knew the story and believed in the fairies. You see, it was a time of war, where families would constantly get messages that a son was lost in the war until there were no more sons left. So people wanted, and needed, to believe in something. I chose this book purely based on its cover. 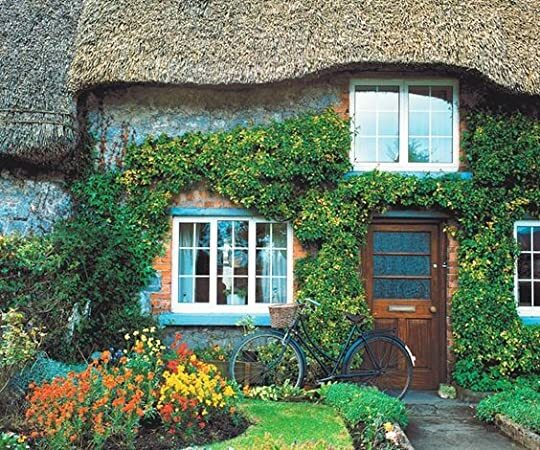 The Cottingley Secret by Hazel Gaynor looked gorgeous, and after seeing it all over Goodreads and thinking about the Cotswolds, I fell in love. Then I learned it doesn't take place in England, but in Ireland, as well as that it's based on a true story. Wow! Knock me over with a feather... all that said, it was a good book and I enjoyed it very much. I'd give it somewhere between a 3.5 and 4 stars rounded up. Two young girls take pictures of faeries in I chose this book purely based on its cover. 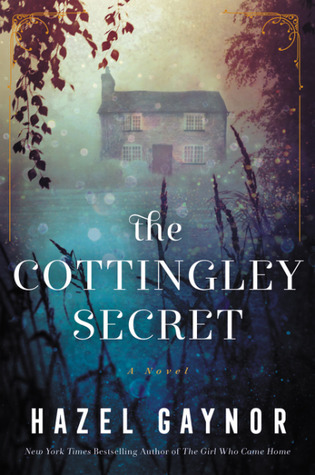 The Cottingley Secret by Hazel Gaynor looked gorgeous, and after seeing it all over Goodreads and thinking about the Cotswolds, I fell in love. Then I learned it doesn't take place in England, but in Ireland, as well as that it's based on a true story. Wow! Knock me over with a feather... all that said, it was a good book and I enjoyed it very much. I'd give it somewhere between a 3.5 and 4 stars rounded up. Two young girls take pictures of faeries in Ireland during World War 1. One of them is a transplant from South Africa returning because her father must fight in the war. She bonds with her cousin, they become somewhat famous for their pictures as everyone thinks it's real. Was it? In current day, a somewhat distant relative / friend (I'm being vague to not give it away) returns to the village to take care of her aging grandmother after her grandfather passes away. She's contemplating breaking off an engagement and starting life anew. The stories intertwine and we learn what really happened with the photo of the faeries. If this weren't based on a true story, I'd have said the plot was too simple. Knowing it comes from a real-life experience, it makes the book a bit better. The author created a beautiful story. The characters felt real. I enjoyed the current story more than the historical one, tho. I felt the book had some literary merit, but at times, it was repetitive and listless... yet I also found it enchanting and vivid in many other places. I think it's meant to be that way if you're not aware of or fully caught up in the true story. This is a rather clever fictional approach to the true story of the Cottingley fairies. Back in 1917 when photography was still fairly basic and people were less cynical than today, two young girls fooled the world with photos of paper fairies posed at the bottom of their garden. This is the true part of the story to which Hazel Gaynor has added some fictional family members to link events to Olivia who lives in the current day. Both stories, that of the young girls and their fairies and of Olivi This is a rather clever fictional approach to the true story of the Cottingley fairies. Back in 1917 when photography was still fairly basic and people were less cynical than today, two young girls fooled the world with photos of paper fairies posed at the bottom of their garden. This is the true part of the story to which Hazel Gaynor has added some fictional family members to link events to Olivia who lives in the current day. Both stories, that of the young girls and their fairies and of Olivia and her bookshop, are charming and equally interesting. The settings are beautifully described and of course I loved the bit about Leeds Library since I used to work there many years ago! Can Olivia have some connection to Elsie and Frances who lived 100 years ago? Can Olivia find it? Is the connection somewhere in the pages of the rare books in the bookshop, SOMETHING OLD, that Olivia's grandfather left her? Is it in the story she finds that leads her to believe in herself like Elsie and Frances believed in fairies? Olivia lives in present day and finds a manuscript in her grandfather's things that refers to fairies. As she reads the manuscript and deals with her unhappy life at this time, she believes her grandmother knew Frances. Olivia is excited that she inherited the bookshop, but doesn't know what to do with it. What decision will she make about the bookshop and her life? Will she decide to move to Ireland and run the bookshop and most importantly follow what will make her happy or marry the man that she realizes isn't the man she should marry? We move to 1917 and visit with Elsie and Frances who are cousins and live under the same roof since Frances moved there from South Africa while her father was called to serve in the war. Frances is a precocious child and believes she sees fairies at the beck, but no one believes her . She and Elsie get together to prove the fairies are really there, and their story becomes a sensation. THE COTTINGLEY SECRET took a few pages for me to connect, but once I got hooked and also realized that this fairy story was famous, I couldn't stop reading. I loved how the book went back and forth from 1917 to present day, and I truly enjoyed the secrets and connections between the characters from both time periods as they were revealed. Who doesn't love a book that has a bookshop in it? And who doesn't love an old bookshop with secrets and memories that might help you make personal decisions and find connections? Hazel Gaynor's books are always magical whether there is magic in them or not. And…her books are always filled with love. Do little girls still believe in magic at all? After reading The Cottingley Secret, this not-so-young-girl believed! In 1917, the Big War had just broken out when Frances Griffiths’ father joined up to “do his part.” Frances and her mother were whisked off to England to stay with relatives, including her cousin, Elsie. Obviously, Frances was young, bored, worried and sad and she often spent time alone in the beck, a clearing by the pond. It is there that she first saw the faeries. Of course, no o Do little girls still believe in magic at all? After reading The Cottingley Secret, this not-so-young-girl believed! In 1917, the Big War had just broken out when Frances Griffiths’ father joined up to “do his part.” Frances and her mother were whisked off to England to stay with relatives, including her cousin, Elsie. Obviously, Frances was young, bored, worried and sad and she often spent time alone in the beck, a clearing by the pond. It is there that she first saw the faeries. Of course, no one believed her at first, not even Elsie, perhaps not even you. But after a time she decided she should photograph these faeries to convince her family that they were, in fact, real. The rest, as they say, is history. The very real Sir Arthur Conan Doyle saw the photographs, examined them thoroughly and declared them “authentically true.” Yes, he really did. In an alternate timeline set in the present, the reader is told of Olivia who has inherited her grandfather’s bookstore and with it a manuscript entitled, “Notes on a Fairy Tale.” Inside is the very story of Frances, Elsie, the faeries and the photographs. Told from alternating points of view, Hazel Gaynor, has spun her fairy tale of beauty, magic and love that spans throughout time for over a century. While the narrative goes from Frances to Olivia and back, the reader is never lost or distracted. In fact, with snippets of factual journal entries, there is just enough truth in this piece of historical fiction to suspend belief and allow the reader to enter a land of magic where imagination reigns and innocence still exists. At the end of the story, the reader, will be amazed to find the actual photos of the faeries that Conan-Doyle inspected. Yes, they are real. The photographs. You will have to decide for yourself if you believe Frances’ story. I know that I do. Very much. There are few books that I recommend without hesitation to all; this book is one of them. I had not read other reviews and had not seen spoilers and I have not given you any here. This is a tale that should be enjoyed without any preconceived notions of good or bad, reality or fiction… just read and enjoy. I know you will. I simply adored this book and fell in love with it from the moment I read the beautifully written prologue. I admit to liking a bit of magic sometimes, who doesn't need some in their life? This book is so evocative of childhood and takes me back to hunting for fairies at the bottom of my Grans garden and making fairy houses out of twigs. I've always been aware of the Cottingley photographs, so was intrigued as to how the author would approach this. The storyline interweaves between two timelines I simply adored this book and fell in love with it from the moment I read the beautifully written prologue. I admit to liking a bit of magic sometimes, who doesn't need some in their life? This book is so evocative of childhood and takes me back to hunting for fairies at the bottom of my Grans garden and making fairy houses out of twigs. The storyline interweaves between two timelines, both of which are clearly indicated. The story takes off in August 1917 in Cottingley, Yorkshire and alternates between there and modern day Ireland. It's beautifully written with descriptive and whimsical writing. It's a perfect read for lovers of books and bookshops, with Olivia in the present day timeline inheriting a bookshop from her grandfather. The descriptions are wonderful and vivid, so much so you can almost smell the books on the shelves. The characters are easily relatable and you feel pulled easily into their worlds. Hazel Gaynor is one of those authors that can make characters jump off the page at you. I loved her style of writing; descriptive, full, rich and full of wonder and surprises, although it isn't particularly fast paced. It's definitely a book to savour and just perfect for reading in the shade of some trees on a balmy summers day - or curled up under a blanket pretending it's summer! It's not often I read a book twice anymore, with so much to get through, but this is most definitely a book I will make sure I make time to return to again and again. 4 stars. Two hankies and one pot of Earl Grey tea. Olivia Kavanagh, now living in London, has gone home to Ireland. Her grandfather has passed away and her grandmother is in a nursing home, suffering from Alzheimer's disease. As she clears out her grandparent's cottage and tidies up their antiquarian book shop, she uncovers a mystery going back to World War I England. How is her family connected to the famous Cottingley fairies? What secrets are revealed in an old manuscript? How do the lessons o 4 stars. Two hankies and one pot of Earl Grey tea. Olivia Kavanagh, now living in London, has gone home to Ireland. Her grandfather has passed away and her grandmother is in a nursing home, suffering from Alzheimer's disease. As she clears out her grandparent's cottage and tidies up their antiquarian book shop, she uncovers a mystery going back to World War I England. How is her family connected to the famous Cottingley fairies? What secrets are revealed in an old manuscript? How do the lessons of the past affect the decisions Olivia must make about her future? The Cottingley Secret cements Hazel Gaynor’s position as one of my favorite authors. I loved The Girl Who Came Home and A Memory of Violets, and The Cottingley Secret is equally outstanding. For years I have been fascinated with the English girls, Elise Wright and Frances Griffiths, who in 1917 claimed they photographed fairies in their backyard and the resulting notoriety they achieved. 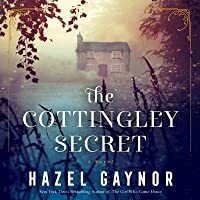 While I was familiar with the basic facts of the event, Gaynor recreates their story and fills in the detail The Cottingley Secret cements Hazel Gaynor’s position as one of my favorite authors. I loved The Girl Who Came Home and A Memory of Violets, and The Cottingley Secret is equally outstanding. For years I have been fascinated with the English girls, Elise Wright and Frances Griffiths, who in 1917 claimed they photographed fairies in their backyard and the resulting notoriety they achieved. While I was familiar with the basic facts of the event, Gaynor recreates their story and fills in the details including that Sir Arthur Conan Doyle believed the photographs were authentic and helped spread their tale to the rest of England. Gaynor tells the tale in a dual timeline format which works very well for The Cottingley Secret. Olivia lives in the present day and, after the recent loss of her grandfather, returns to Ireland to manage the book shop she inherited, called Something Old, and attempt to straighten out her own life. She finds a manuscript written by Frances Griffiths and slowly becomes fascinated with the girls’ fairy tale (see my pun there?). The second story begins in 1917 when Frances and her mother come to stay with Elsie and her family during the Great War. The girls form a close bond and enjoy spending time down at the beck where Frances believes she sees fairies. She eventually confides in Elsie who concocts the idea that the girls should photograph the fairies, and the tale takes off from there – I cannot say anymore because I do not want to spoil this beautiful story. The two storylines eventually intertwine in a highly satisfying manner. I was amazed at the depth of the tale and fascinated that Gaynor was able to meet and speak at length with Frances’ daughter. I loved immersing myself in this enchanting and intriguing tale and highly recommend it to anyone looking for a feel good and magical book. I received an advance review copy of this book from the Great Thoughts’ Ninja Review Team. All opinions are my own. Two young girls from Cottingley, Yorkshire, convince the world that they have done the impossible and photographed fairies in their garden. Their parents are astonished when one of the great novelists of the time, Sir Arthur Conan Doyle, is convinced of the photographs authenticity. The girls become a national sensation. The girls hide their secret for decades. One hundred years later, when Olivia Kavanagh finds an old manuscript in her late grandfathers bookshop, she becomes fascinated by the s Two young girls from Cottingley, Yorkshire, convince the world that they have done the impossible and photographed fairies in their garden. Their parents are astonished when one of the great novelists of the time, Sir Arthur Conan Doyle, is convinced of the photographs authenticity. The girls become a national sensation. The girls hide their secret for decades. One hundred years later, when Olivia Kavanagh finds an old manuscript in her late grandfathers bookshop, she becomes fascinated by the story of the two girls who mystified the world. This is a truly magical story. This book had me hooked from the beginning. It is beautifully written. It's basically a story within a story. The descriptions of the era were almost perfection itself. Set around England and Ireland. I so recommend this book. My thanks to my Goodreads friends Melissa and Rory, whose reviews pointed me towards this lovely book. It was a nearly perfect book for me—first, there is the question of what Frances has actually seen. In her mind, she has seen fairies and I found myself wanting so much to believe her! Having spent many long hours as a child playing outdoors, watching all that went on around me, I always longed for a special experience such as hers. Secondly, there is the link to the real world—Frances and Elsie My thanks to my Goodreads friends Melissa and Rory, whose reviews pointed me towards this lovely book. Secondly, there is the link to the real world—Frances and Elsie were real girls who did create fairy photographs that fooled many people, including Arthur Conan Doyle! And I can’t say I blame them—after all, I just admitted above how much I wanted to believe in Frances’ fairies. At the end of WWI, many people were looking for evidence of life after death and having lost dear folk myself, I can sympathize with that wish. Thirdly, there is a present day story which takes place around the story of Frances and Elsie. Olivia Kavanagh is dealing with the grief of losing a beloved grandparent (who has stood in a parental role to her) and dealing with his store and his belongings. Her grandmother has Alzheimer’s and doesn’t always know Olivia when she visits. I identified strongly with her grief and her desire to escape from her London life while she sorted things out. I’ve sorted out the contents of our farm house and know exactly how difficult such an endeavour can be. Lastly, I loved the unresolved ending. Frustrating to some, to me they reflect reality. Until we also pass on, we only have the ending until now. There is more to come tomorrow. An enchanting, beautiful book which I am ever so glad that I found. THE COTTINGLEY SECRET is the first book I have read by Hazel Gaynor. I was intrigued by the idea of the book, about the cousins that took the Cottingley photographs of fairies (you can google Cottingley fairies to see the photographs yourself, they are added at the end of the book). Personally, from a modern perspective, I have a hard time to see how anyone can take them for real. But, it was another time back then. The Cottingley Secret has a little bit of everything: magic, loss, deceit, heartache and love! The characters are well drawn and both timelines intertwine nicely. One timeline is based on true events of two young girls that photographed fairies in Yorkshire. I knew nothing of The Cottingley fairies and it is quit a captivating story. A delightful warmhearted story I highly recommend if you like historical fiction with dual narratives. There is nothing better than finishing a book with a smile on my face, filled with the warmth and heart of a wonderful story. The Cottingley Secret is a beautifully written book, filled with captivating images and ideas. This is a story that you can totally immerse yourself in, a fairy tale of sorts, where you can shake off the pressures of the day and escape in a world of magic. This book is enchanting, filled with love, and truly delightful. I'll admit to a fair degree of procrastination before starting to read The Cottingley Secret by Hazel Gaynor. I wasn't exactly enchanted by the idea of a book about fairies at the bottom of the garden. Yet as it turned out, enchanted is exactly what I was once I started reading. Though there was a magical element it was woven into the story so naturally I never felt forced to suspend disbelief. And, the icing on the cake was that this story was centred around some real events and controversial photographs which were widely known in the 1920's as the Cottingley fairy photographs. In the present Olivia (Liv) Kavanagh has returned to Ireland to deal with the estate of her beloved Pappy. She has inherited Something Old, her Pappy's charming old bookstore. This is the place she spent most of her childhood and she has treasured memories of this place and the books. In one of the drawers in the shop Liv finds an unpublished manuscript together with a photo of a young girl surrounded by fairies. Intrigued she settles in to read the manuscript which tells the story of Frances Griffiths. Frances is one of the two girls in the Cottingley fairy photo's. Liv became engrossed in the story, finding a connection between Frances and her own great grandmother. These photos were never intended to be shared but somehow they were and they became the subject of much conjecture and debate. There were those who believed the fairy photos were fakes, others who genuinely believed they were real and others who simply wanted to believe. As Frances' teacher said, "Sometimes all we need is something to believe in, something to give us hope and to remind us how remarkable the world can be, even in the middle of a war." This was a delightful read, drawing me in instantly and keeping me hooked the whole time! Frances was an enchanting narrator, I loved hearing things through her and seeing it as she did. My knowledge of the Cottingley fairies & pictures was very minimal previous to this. I, like any fairy-loving human, loved the way Hazel Gaynor wrote this book, making all the descriptions so vivid and lifelike, yet still giving us the ability to use our own imagination. There is also a contemporary storyline, involving Olivia who is at a crossroads in her life. She has some hard decisions to make and her grandpa's old bookshop is a safe haven for her. Her story is also compelling and how hers intersects with Frances & Elsie's is heartwarming. Again, Frances was the key to this success of this novel! She evoked sympathy & empathy the whole time. You could imagine yourself in her shoes and what you would do. The author did an awesome job of laying out the facts without any "blame" or ill will. I enjoyed the bonus material at the end, and even did a little research of my own after finishing it. I'm so enthused with it, I plan to do additional reading. Highly recommended to historical fiction fans! When you first glimpse the cover of this book, it doesn’t shout ‘magical realism’. It shouts ‘family saga’. At least to me it does. Admittedly, I skimmed the review pitch very lightly and didn’t really pay close attention to it because like it or not, I knew I would review this one based on the cover and title. It just sounded like a title that said ‘family saga’ in the vein of Kate Morton for some reason. Then you add in that cover and there you have it, I was convinced at face value that this wa When you first glimpse the cover of this book, it doesn’t shout ‘magical realism’. It shouts ‘family saga’. At least to me it does. It just sounded like a title that said ‘family saga’ in the vein of Kate Morton for some reason. Then you add in that cover and there you have it, I was convinced at face value that this was a family saga (something that I love). So imagine my surprise when there were fairies and magic in this book. As I mentioned, I thought this was going to be something completely different. However had I read the review pitch in it’s entirety, I probably would have still reviewed it because I like magical realism novels plus you add in my favorite time period (Edwardian era), and it would have been up for review on my calendar one way or the other–I just happened to think it was something else entirely. This book was a treat though. She has a beautiful story telling style which captivated me almost immediately. I haven’t read anything by her before so this was a completely new author to me. I loved that the author took some historic, real events and incorporated them into a story with magical elements. That’s one of the things that I love about magical realism books–the gentle and subtle use of magic. It wasn’t over done in any way. Reading this book was a complete surprise to me, it wasn’t what I expected but the story and characters drew me in. I was enchanted by tone of the over all novel. It was at times sad but yet in a strange way uplifting. It made me feel good but yet tugged at the heart strings. I love books like that. This was an easy 5 star review for me. I loved it and read it in only a matter of days. It was a pleasant surprise in the closing days of my summer reading. Put on a pot of tea and get ready to get lost and enjoy this one! Truly a book you can lose yourself in! In 1917, in the meadows and forests of northern England, two young girls photographed themselves with a collection of fairies. 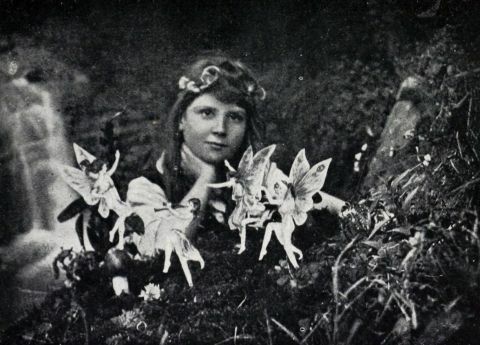 The photographs made their way into the world, causing a national sensation when Sir Arthur Conan Doyle published them in 1920 to accompany an article about the existence of these fairies for Strand Magazine. Hazel Gaynor's charming The Cottingley Secret fictionalizes the story of nine-year-old Frances Griffiths, who leaves South Africa with her mother at the start of WWI In 1917, in the meadows and forests of northern England, two young girls photographed themselves with a collection of fairies. The photographs made their way into the world, causing a national sensation when Sir Arthur Conan Doyle published them in 1920 to accompany an article about the existence of these fairies for Strand Magazine. Hazel Gaynor's charming The Cottingley Secret fictionalizes the story of nine-year-old Frances Griffiths, who leaves South Africa with her mother at the start of WWI to live with her mother's sister in Yorkshire while her father is at the front. Frances and her older, worldly cousin, Elsie, become fast friends, but Elsie is often away at work. Frances, an outcast at school, must fend for herself. On one of her solo perambulations in the forest, she encounters the fairies and her obsession pushes the loneliness aside. One hundred years later, in a village just north of Dublin, Olivia Kavanaugh grieves her beloved grandfather. She's an accomplished book restorer in London, but she's miserable, living an inauthentic life, engaged to a man she reluctantly admits she doesn't love. 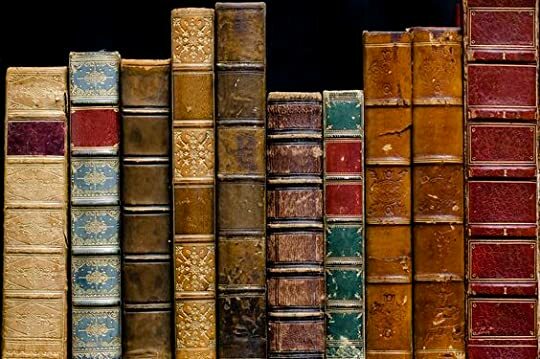 Her grandfather has bequeathed her his bookstore, Something Old, that is filled with rare and second-hand books, hardly a recipe for success in a hyper-modern, digital world. He also left her the manuscript of a memoir written by Frances Griffiths recounting the discover and subsequent scandal of what become known as the Cottingley Fairies. Being a Yorkshire lass, who is also half Irish, and having believed in fairies pretty much all my life, even before getting a tiny postage stamp sized letter from Fiona the tooth fairy when I was nine years old, I felt this book was made for me. I imagine many readers will at least be aware of the old photographs of the Cottingley fairies. I remember seeing those photos from quite a young age, and have certainly seen a television programme or two about them. I loved how this story brought those Being a Yorkshire lass, who is also half Irish, and having believed in fairies pretty much all my life, even before getting a tiny postage stamp sized letter from Fiona the tooth fairy when I was nine years old, I felt this book was made for me. 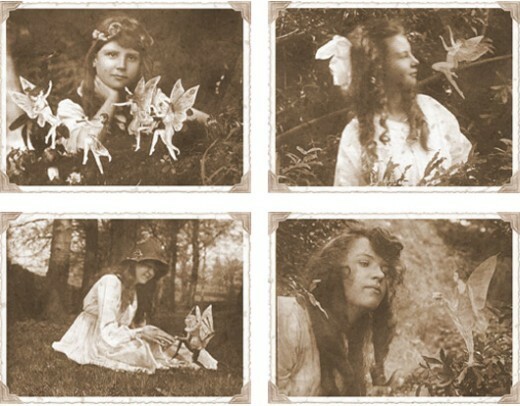 I imagine many readers will at least be aware of the old photographs of the Cottingley fairies. I remember seeing those photos from quite a young age, and have certainly seen a television programme or two about them. I loved how this story brought those photos to life. This is not a quick thrill, fast paced kind of a book, but an atmospheric and magical character led story filled with deep emotions and the need to believe in something to give people hope. I will keep a part of this book with me in my heart. P.S. I still believe in fairies! This book was inspired by the true story of two little girls in 1917 Yorkshire who convinced the world that the photo they snapped of fairies in the woods was real. The story toggles between the modern day when a woman discovers an manuscript in her grandfather's bookshop and the mystery of what really happened with the fairies a century earlier. Enchanting! This was my second book by this author (the first being The Girl Who Came Home). They bear a striking resemblance but perhaps it is her style of writing. They are both historical fiction stories, both tie together a story from the past (one from 1912 and this one from 1917) with a present day person and both have female protagonists who are crying out for absolution. The main difference is that in The Girl Who Came Home her difficulty was the realization that due to an international disaster tha This was my second book by this author (the first being The Girl Who Came Home). They bear a striking resemblance but perhaps it is her style of writing. They are both historical fiction stories, both tie together a story from the past (one from 1912 and this one from 1917) with a present day person and both have female protagonists who are crying out for absolution. The main difference is that in The Girl Who Came Home her difficulty was the realization that due to an international disaster that she had no control over, she survived while others did not. But in The Cottingley Secret, two girls created a controversy that hung over their heads and in the air for nearly 70 years - a situation they could have resolved but didn't. Two girls, one camera, artistically drawn fairies and what started as an innocent prank sparks intrigue, accusations, lies and guilt to create a storm cloud over the heads of young Elsie and Frances that steadily rain down no matter how far they try to separate themselves from its path. One of the worlds greatest mystery writers, Sir Arthur Conan Doyle, even got swept up in the mystic of the photographs vowing them authentic and wrote articles about them in the "Strand". I loved the stories of old with Elsie and Frances and recommend that future readers of the story do a bit of research about the fairy pictures before starting the book. I was impressed how two young girls were able to pull off such a story for so many years and my heart ached for the torture their souls must have endured for continually having to keep up with the lie. And yet there is a part of me that was enchanted by the possibility of a magical world unknown to us and I can only imagine what hope it must have instilled to those so affected by the war back then. I can only compare it to our beliefs and infatuation with Santa as children. While it was earth shattering to finally uncover the truth, you can never escape the many years of joy, anticipation, excitement and sheer pleasure we received by the image of this mythical man. If it created joyful memories of our childhood, how bad could the deceit have been? In the end, for Elsie and Frances, if it brought a day of pleasure for others, a day that redirected sorrow into the light of happiness, if it instilled hope of greater things to come then how wrong could it be? But for the creators of the lie, the perpetrators of the scam was the burden of the truth worth the publicity it created? I suppose one just has to ask, "What price glory?" "I moved silently across the garden, silvered with moonlight, my feet barely touching the ground. I brushed past fern and tree, following the lights across the stream, toward the cottage in the clearing where I watched a little girl surrounded by light and laughter as the fairies threaded flowers through her hair. I stood out of sight, peering through the tangled blackberry bushes, but the girl saw me, rushing forward, her hand outstretched, a white flower clasped between her fingers 4.5/5 stars! "I moved silently across the garden, silvered with moonlight, my feet barely touching the ground. 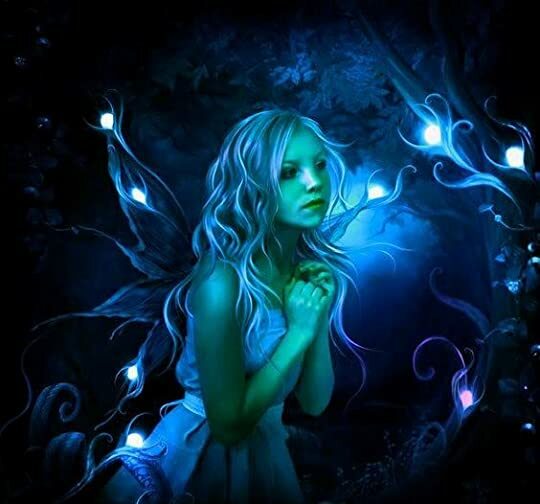 I brushed past fern and tree, following the lights across the stream, toward the cottage in the clearing where I watched a little girl surrounded by light and laughter as the fairies threaded flowers through her hair. I stood out of sight, peering through the tangled blackberry bushes, but the girl saw me, rushing forward, her hand outstretched, a white flower clasped between her fingers." I absolutely loved this book! The delightful tale of two girls (cousins) Elsie and Frances who captured the impossible: fairies in a photograph. The word phrasing and atmospheric tone that Gaynor sets, reimagines this time in history over a hundred years ago. Then the story flashes forward to present day and we meet Olivia, whose grandfather used to own a lovely old bookshop before he died. She discovers journals called, "Notes on a Fairytale" by little nine year old Frances and is swept away to another time where two girls discovered magic in their garden. Back in 1917, two girls, Frances Griffiths and Elsie Wright, insist that something amazing has happened. They have photographed fairies, living in Cottingley near the waterfall. Are the fairies real or is this two imaginative girls playing a game? The photos are brought to the attention of Sir Arthur Conan Doyle. Suddenly the photos that were intended purely for family, take on a life of their own. One hundred years later Olivia Kavanagh inherits, Something Old, her grandfather’s bookshop for ol Back in 1917, two girls, Frances Griffiths and Elsie Wright, insist that something amazing has happened. They have photographed fairies, living in Cottingley near the waterfall. Are the fairies real or is this two imaginative girls playing a game? The photos are brought to the attention of Sir Arthur Conan Doyle. Suddenly the photos that were intended purely for family, take on a life of their own. One hundred years later Olivia Kavanagh inherits, Something Old, her grandfather’s bookshop for old and second hand books. She finds a manuscript that has been hidden for decades and is fascinated by the story it tells of Frances and Elsie. The novel weaves both stories and time frames together seamlessly. This has been on my to read list for a while but it was my husband who picked it up first in the library and said, ’Are you interested in this?’ How well he knows me. From page one I slipped effortlessly into this story. From its delicate, otherworldly cover, this book has that magical feel that some books just have. I loved both the stories of Elsie and Frances and that in the present day with Olivia and her grandmother equally. It was easy to read, easy to suspend disbelief and just a charming interlude from the everyday. One hundred years ago, two girls went down to the stream at the bottom of their garden in the village of Cottingley in Yorkshire, and took some photographs of fairies. Elsie Wright (aged 16) and Frances Griffiths (aged 10) were cousins, and each took turns in being photographed. They developed the photos, and showed them to Elsie’s father who had mocked them for believing in fairies. Elsie’s mother showed the photos at a meeting of the Theosophical Society, and eventually they came to the attent One hundred years ago, two girls went down to the stream at the bottom of their garden in the village of Cottingley in Yorkshire, and took some photographs of fairies. Elsie Wright (aged 16) and Frances Griffiths (aged 10) were cousins, and each took turns in being photographed. They developed the photos, and showed them to Elsie’s father who had mocked them for believing in fairies. Elsie’s mother showed the photos at a meeting of the Theosophical Society, and eventually they came to the attention of Sir Arthur Conan Doyle, creator of Sherlock Holmes, who championed the two girls and their photos as evidence of supernatural phenomena. The two girls maintained the truth of their photographs all through the ensuing media storm but eventually confessed - when in their ‘80s – that the fairies had been drawn on paper and carefully cut out and stuck on hat-pins. All except one, Frances said. One of the photographs was real. where you can also sign up for her newsletter.